sell runescape gold,sell runescape gold to rsgoldfund at great rates,sell runescape gold for real life money! Looking to finally sell runescape gold for real life money? Ready to sell your runescape bank so that you can enjoy the pleasures of life? Here at rsgoldfund we offer the best rates when you sell runescape gold to us. We offer a massive variety of payment methods to buy runescape gold with. 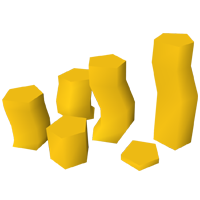 We are one of the most competitive sites in the industry and are always looking to sell runescape gold to our customers. All you need to do to sell your runescape gold is fill out the form on this page and click "Sell runescape gold" and it will automatically put you in contact with a runescape gold agent who you will be able to sell runescape gold to at the best rates! Rsgoldfund has a long history of being legitimate. We started on several popular black-market forums all the way back in 2013 and are still selling runescape gold to this day 5 years later. We are a trusted juggernaut of the runescape industry with millions of dollars handled while buying runescape gold. We have thousands of vouches & feedback spread across dozens of forums and our reputation speaks for itself - Rsgoldfund is the best runescape gold site to sell runescape gold to without a doubt.